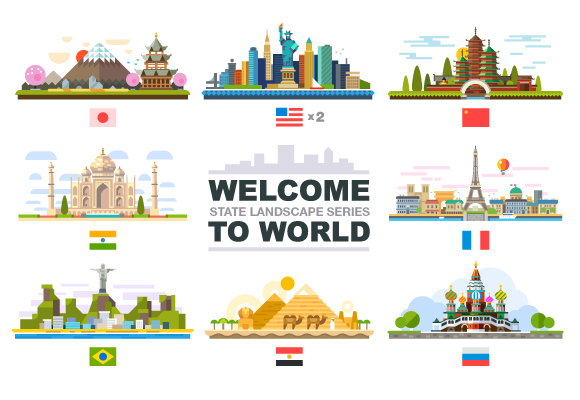 “Welcome to the World” is a colorful set of flat-styled landscapes. Once again the world is flat – as it was centuries ago. No elephants or tortoise though. So many beautiful places to see, I hope to visit them all in 3d!